For eight years, Elaine Myerscough worked as a scrub nurse on the Sunshine Coast, specialising in breast surgery. But no amount of experience or knowledge could have prepared her for her own diagnosis and journey. Nicole Fuge meets an incredibly resilient, caring and tenacious woman now fighting her own battle. Elaine Myerscough is a 56-year-old Registered Nurse, she could talk you through how the operations are done and what instruments are used, but all that faded into the background the moment she was diagnosed. 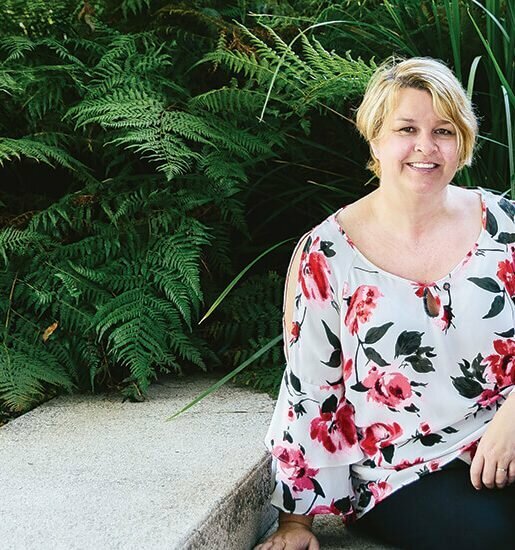 Elaine was due to have a routine mammogram in October 2014, as her mum had a mastectomy 14 years ago, but she was busy at work and ignored the letters from BreastScreen Queensland. After the fifth reminder, Elaine went for a check-up at Caloundra Hospital and was referred to Nambour for further examination. Having not had any symptoms or felt any lumps, Elaine was unprepared for the events that were to unfold. On 27 March, 2015 Elaine was diagnosed with breast cancer and was admitted for surgery with Doctor Lisa Creighton (the same surgeon she used to work alongside in theatre), who performed Breast Conservation Surgery and Sentinel Lymph Node Biopsy. Six rounds of chemotherapy every three weeks and 18 rounds of Herceptin were administered to eliminate any cancer cells, followed by 33 rounds daily of radiation. “I went to the local hairdresser before treatment started and they braided my hair. Then the moment came to cut them off, I fell apart and cried. But I went out of the shop smiling, because what can you do, I’m going to lose my hair anyway. “I kept all my braids, I’ve still got one in my handbag – I carry it around with me like a souvenir,” she says with a brave laugh. Within days of the first chemo treatment, Elaine became very sick and was diagnosed with Neutropenia. Her white cell count was .01 and she had nothing to fight infection. Elaine was admitted to hospital, for a few days for treatment. “When I got home my head started to burn; it was on fire and I touched my head and my hair came out in handfuls from folliculitis, so I shaved the rest of my hair off,” she says. In the midst of Elaine’s cancer treatment, the house she rented was put up for sale. 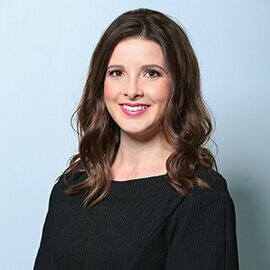 The Cindy Mackenzie Program (formerly Cindy Mackenzie Foundation), covered the cost for a removalist and bond cleaning; but she was also fighting another battle, as a victim of domestic violence. “On the 29th of December I walked away from my marriage with nothing but a bag of clothes and a bag of personal belongings,” she says, explaining she sought refuge with a close friend, Lynnda, and her family to get away from her husband. “In February after going to pick up some more of my belongings, I went to bed that night not feeling well,” she says. “I woke up in the middle of the night with chest pain, was sweaty and clammy and I saw a light shining above me and I couldn’t breathe, I couldn’t call out. The following morning, Elaine had another attack, this time in the kitchen and in the presence of her friend’s son, who called for an ambulance. A blood test confirmed she had suffered a heart attack, and that night in hospital, she had another two events, confirming she had a life threatening condition called Long QT Wave. Having endured an unimaginable series of unfortunate events, Elaine says having the support of the Cindy Mackenzie Program has been a godsend. The Cindy Mackenzie Foundation was founded in 2007 in memory of Sunshine Coast mum Cindy Mackenzie, who lost her battle with breast cancer aged 39. 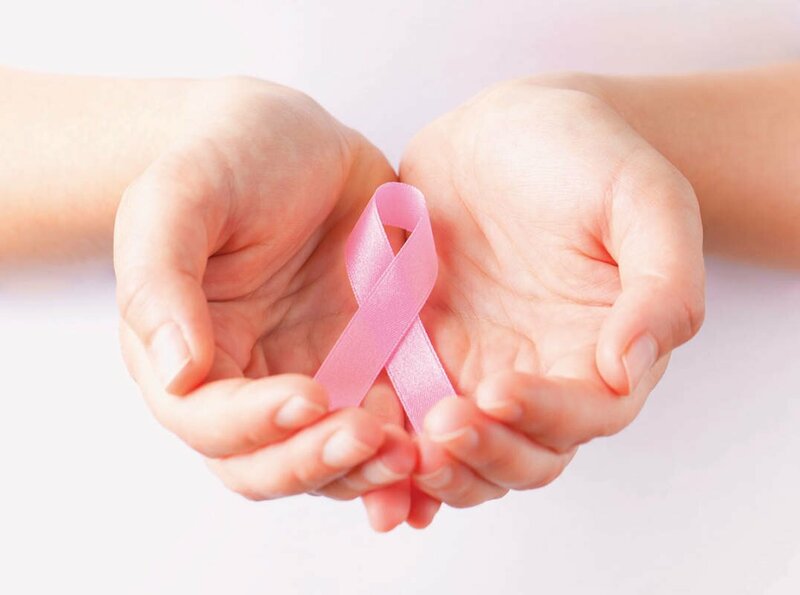 Since September 2015, The Sunshine Coast Private Hospital at Buderim has administered the program and offers complimentary support to local breast cancer sufferers and their families. They offer family assistance to help with day-to-day needs; clinical services and education; and their Memory Maker program is designed to create positive and long-lasting memories during what is a very difficult time. Earlier in the year, Elaine was gifted a night’s retreat with her friend at the Mantra in Mooloolaba, where they unwound and relaxed after what had been a tumultuous time. Elaine has since become a volunteer with the program and completed the 10km walk at the Sunshine Coast Marathon with the Rockers for Knockers team in August. Since the interview with Profile, Elaine developed further side effects from radiation, causing fibrous tissue in her breast and the wall of her lung, resulting in surgery in September.